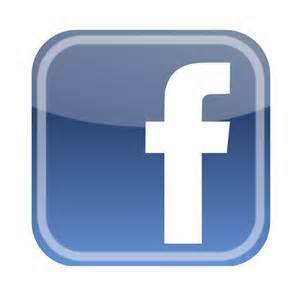 Check out the items for sale or wanted on our Small Ads page. Wan't to sell or buy? Download a Classified Ads Form. This Order came into effect on 1 January 1978 and requires all advertising by people who sell goods in the course of a business to make the fact clear. From that date consumers should be able to tell whether an advertisement relates to a sale by a trader or private seller. It is the responsibility of the advertiser to comply with the order. It is an offence, for which you may be prosecuted, not to advertise the fact that you are a trader. PARTS SALE - BJ7/BJ8 works hard top. Original, needs TLC. Very rare £4250. 3000 MkI 2/4 seater BT7 works hard top white. Good original condition £3685. Contact mandu787@gmail.com or 0131 343 2574. CAR SALE - 1959 Frogeye ex california. Original rust free floors etc. Matching numbers. Now RHD. Iris Blue, black interior. CAR & PARTS SALE - Sprite Mk4 1380 fast road engine. Rear damage. Sprite Mk2 wiring loom unused. Cobra classic club seats ideal for Sprites. PARTS SALE – 3000 steel bonnet in good solid condition. Big Healey L/H outer (black Primer) and inner cills, (bare steel) new old stock dated 17/4/97 on labels. £35 the pair. 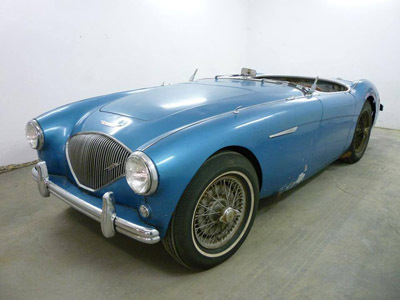 CAR SALE - 1964 Healey 3000 Mk3 BJ8 original chassis, engine, gearbox, numbers. Cloth softtop. Excellent running order. MOT November. Excellent rust free car. Always garaged. RHD Phase 1 overdrive. CAR SALE - BT7 1961 red/black leather piped red. Alloy body, head , radiator, sump, finned rear drums, rockerbox etc. 5.5 inch wires. Triple HD8 carbs, centre change box with Tulip gears, competition overdrive. 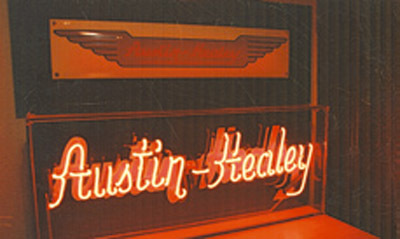 MISC SALE - Genuine Austin Healey neon illuminated sign. Buyer to collect from Wirral, Cheshire. Too fragile to send. 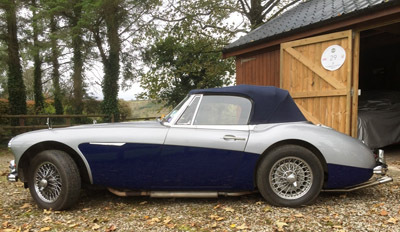 MISC SALE - British craftsman with over 30 years experience restoring Healeys and classic sports cars. Recent re-location to Norther Portugal allows us to charge just £25 per hour on restoration. PARTS SALE - Sprite IV original factory hardtop with glass windows. Requires re-paint but solid condition. Photos available £180. Also nice bonnet and bootlid available £60 the pair. PARTS SALE - Sprite IV pair of seats with good frames covered in correct black vinyl. Some repair needed but quite good. Correct for 1967-69 models. PARTS SALE - Sprite 1275cc flywheel and clutch cover. Helix Competition 7.5 inch cover, lightened and re-drilled. Flywheel with new starter ring, new and unused. 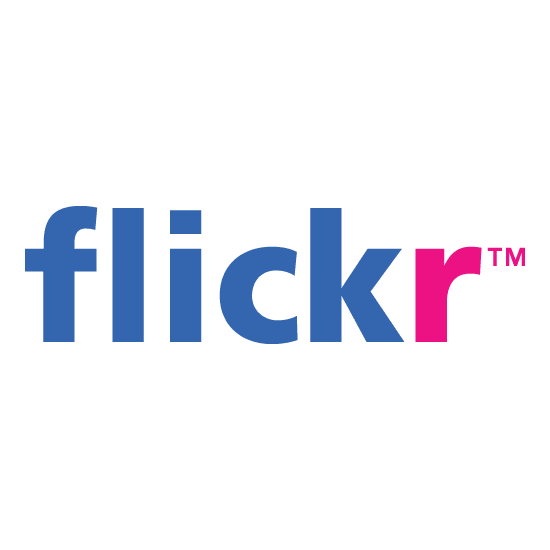 Can email photos. Phil 07773 530569 or 01202 814277. PARTS SALE - 3000 MkIIA BJ7 chassis, non rusty condition, slight misalignment to front leg. £350 ONO. Also BJ7 boot lid for restoration £100. Purchase as seen. Ring for details 07946 038047 or 01948 871222. CAR SALE - 1957 BN4 100-6 restoration project. Chassis, engine, gearbox, front suspension, rear suspension, front shroud, rear shroud, 2 doors, 1 wing. Many new pieces bought. Offers £15,000. PARTS SALE - Engine crane snap on. New ram. 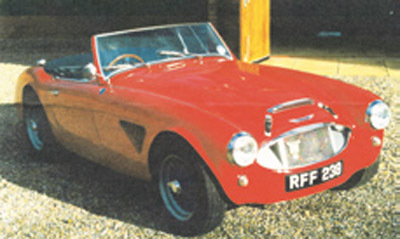 CAR SALE – 1967 Mk3 Sprite. Complete nut and bolt rebuild by marque specialist as a fast road car or for competition. 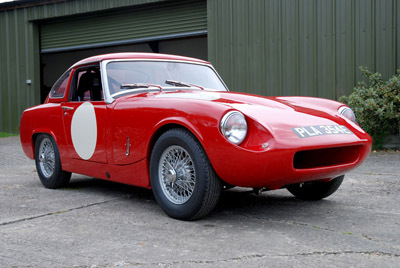 Williams & Pritchard Sebring GT front with an Ashley hardtop, finished in Tartan red. Rare 1293 engine rebuilt by Allan Cameron to race spec with only 250 road miles. All new parts used where possible and a huge list of modifications. In-date Sparco race seat with 6 point TRS belts, rear roll cage and Avon ZZ tyres. CAR SALE - MK2A 1963. Rebuilt engine, brakes and clutch. Blue over cream with red interior. Full history file and lots of spares.